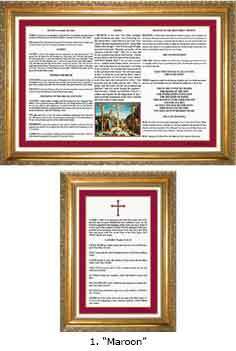 After custom designing a set of 1968 Roman Seraphic Missal English Altar Cards for a priest, he helped us design this standard version for the general population of priests who use the '68 Missal. These cards have been carefully typeset for accuracy and feature 12 and 14 point type for easy readability. The center card image is "The Crucifixion" by Andrea Mantegna, a famous Renaissance painter. 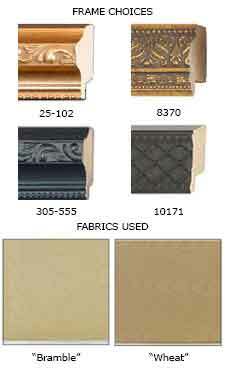 Each set contains one large center card, measuring 12 x 18 inches, and, two side cards, each measuring 12 x 8 inches. Available as prints, framed, laminated, or framed. * Also see the two-sided "Mass Responses" card in English Companion Prayers.